2016 BENTLEY BENTAYGA by Jim Corbran, Automotive Columnist I’m often asked for advice when friends and acquaintances are car-shopping. Just last week a guy (you know who you are!) told me he was looking for an SUV or a minivan to pull a 3,500 pound trailer. 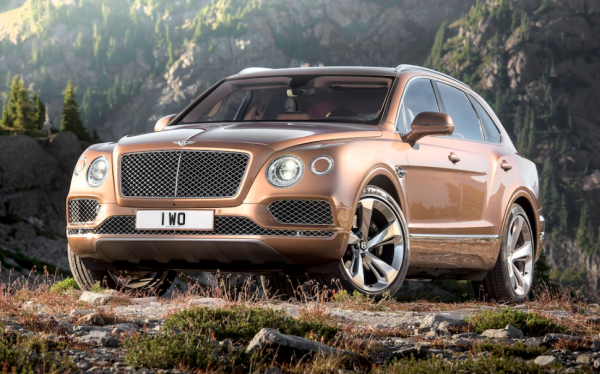 Silly me… I forgot all about the new Bentley Bentayga, the newest in luxe SUVs. Although they don’t specifically mention its trailer towing capacity, they do manage to throw around the phrase off-road a few times in their press release. Really? Another thing they didn’t quite go into detail about was the price, but some automotive publications are quoting a $229,000 sticker… and you’ll be taking it off-road? Probably not on purpose, Lol. I don’t imagine the Bentayga will have any problems pulling 3,500 pounds, though. Under the hood (bonnet?) is a 6L W12 engine rated at 600 hp. If you’ve never heard of a W12, I’ll explain as simply as I can. You know why a V-8 is called a V-8, right? Its eight cylinders are positioned opposite each other in two banks of four, forming a vee shape. A W12 has 12 cylinders, six on each side, positioned so as to resemble a W when viewed head-on. Have we piqued your interest? You can read more at the link below. And I just remembered why I never mentioned the Bentayga to my SUV-shopping friend. He said affordable. I think the Bentayga has one too many number places in its sticker price to fill that bill! Read more about the Bentayga here. ### The post 2016 BENTLEY BENTAYGA appeared first on Buffalo Cars.